Half of what my 6 year old does is funny to me. The other half would only be funny if it happened to someone else’s child. 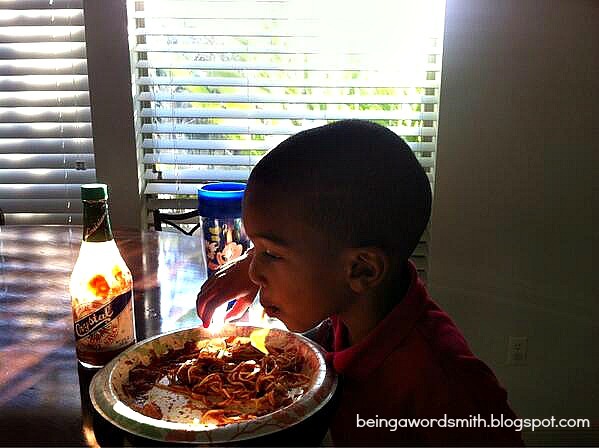 …and The Deuce likes hot sauce on his. To display my slice of reality TV heaven, I have made a commercial for Being A Wordsmith. Because my blog buddy, Joi at Rx Fitness Lady, is hosting a 7 Day Mini Blog Challenge on her site starting today. Check it out! There are some fantastic writing prompts for you to participate in. She has been a huge source of support and sisterhood for me. I had so much fun participating in her blog challenge back in May. And she’s doing it again this week. So I’m on board! The writing prompt for Rx Fitness Lady’s challenge today is a Blog Commercial/Confessions of a Blogger. I had a great time making this commercial. Shout-out to Nellie from Brooklyn Active Mama for sharing some great tips on how to make one. Used the videocam on my laptop and Windows Movie Maker and presto–it was done. I hope you enjoy it. It includes a blooper reel too! 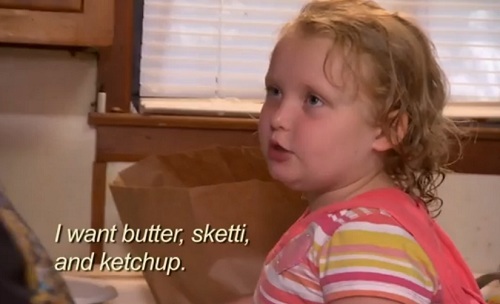 What is your favorite reality TV show? 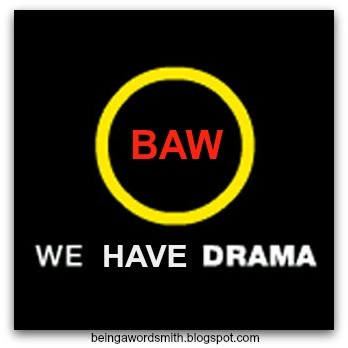 Fave soap opera? 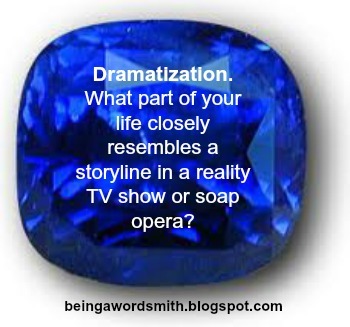 If your life resembles a reality TV show or soap opera, what would you call it? Do you think reality TV shows are here to stay? Or do you think they will die out? Previous post It’s My Birthday Complete With Giveaway, Flashback, and Surprise!